Microtek Micro-controller based high-efficiency Solar Charge Controller is best suited for low-power solar applications. The Micro-controller in Microtek solar charge controller, senses the battery full-charge voltage and it cuts off the battery from charging, when it reaches full charge status. It reconnects the battery if the battery charge drops to a preset level. 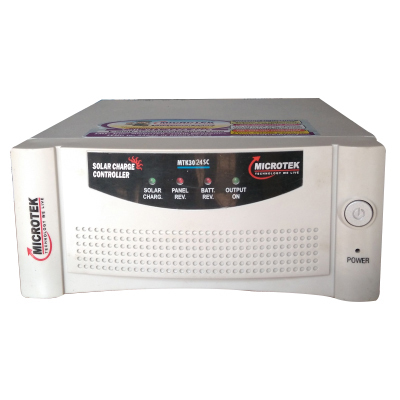 Microtek Solar Charge controller also disconnects the solar panel from the battery to avoid the reverse current flow from the battery to panel during night. This product as been specially designed to upgrade any conventional UPS/Inverter in to Solar UPS/Inverter with setting of first priority given to Solar while charging. 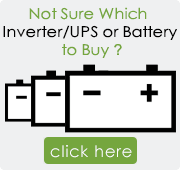 The charge has been programmed to connect and disconnect the AC mains to UPS/Inverter depending upon the battery voltage levels to ensure use of solar as primary power and mains only for the emergency. LED Indications Solar Charging, Panel Reverse, Battery Reverse, Output On Terminal Blk for Solar Panel & Battery connections. ByPASS: Solar Charging & Mains Bypass.